1. We have developed, tested and added the functionality to send and receive Bitcoin and Ethereum, opening up blockchain transactions for the GENE Wallet. This functionality is enabled through highly secure infrastructure supported by cold-storage without any storage fees. 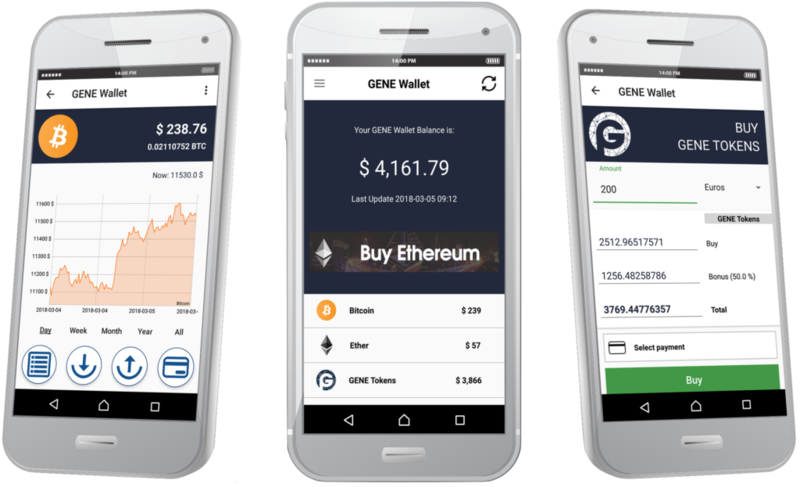 GENE Wallet users benefit from a highly secure and convenient wallet to keep their cryptocurrencies in one place. 2. We have enabled GENE buy transactions to be reflected on the exchanges in real-time. This way, users benefit from being able to buy GENE tokens through the GENE Wallet in real-time and storing them in one place. We are committed to continuously enhancing the GENE Wallet by adding new features to improve functionality, convenience, as well as security. We have more major upgrades to the GENE Wallet coming-up soon and we will follow-up with an announcement, so please stay tuned for our newest developments. Do you find the new features we announced today useful? Would you like to propose other features to be added to the GENE Wallet? Let us know by joining the PARKGENE community and commenting on our social channels, Facebook, Twitter, on Reddit and our Telegram channel.